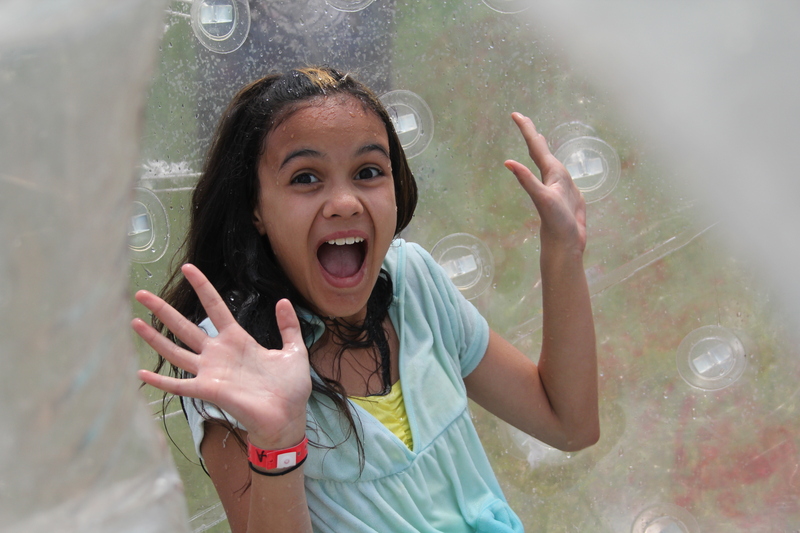 Blog Why come to Junior High camp this summer? The Junior High program this summer is going to be incredible! The program is filled with activities like Scalps, Zorbs, and brand new activities too! One of the major themes of our JH program is cooperation. Campers put teamwork into action while they work together on the Zorbs, organize Lavinrac, and more. The night hike is an exciting JH activity and campers will be immersed in God’s creation in a whole new way. The main theme for our Junior High program is answering the question: Is God real? Every activity in our fun and exciting program will purposely guide their minds toward answering that question. Our daily devotionals and chapels paint a picture for campers of how God is real in their lives. Purity Night and Man Night also give Junior High campers an idea of what being a man or woman of God looks like. Additionally, gives them practical ways to live a godly life in their everyday lives. Junior High campers experience The Zipline. Soaring over Lake View from an eagle’s point of view and grants the opportunity to view God’s creation in an experience unlike anything else. Our goal is to make this week at camp an experience Junior High students can enjoy for a week and remember for a lifetime.